When China was denied membership in the multinational partnership that operates the International Space Station, the country decided to build a manned space station of its own. 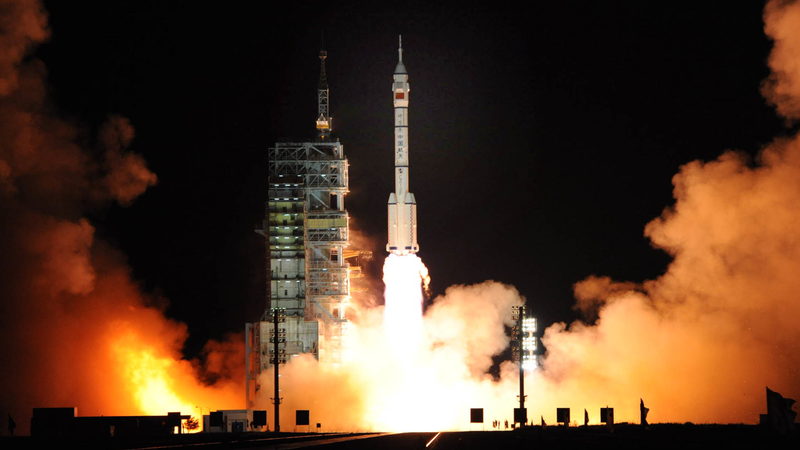 Now, China is one step closer to achieving its goal: late last night, the China National Space Administration successfully launched its unmanned Shenzhou 8 spacecraft into low-earth orbit. Over the next couple of days, Shenzhou will move into position before attempting to dock with Tiangong-1, a prototype module of China's planned space station, which was successfully placed in Earth's orbit just over a month ago. If China succeeds in docking the Shenzhou space capsule with Tiangong-1, they will become just the fourth nation in history (joining the U.S., Russia and Japan) to demonstrate orbital rendezvous and docking technologies. "According to our current plan, there will be about four adjustments to the spacecraft's orbit in order to lead Shenzhou 8 to the target," said Zhang Bonan, chief designer of Tiangong-1. China's forays into space are significant for a number of reasons, chief among them being the autonomous nature of the undertaking. With few exceptions, the technologies used in China's program have been conceptualized, prototyped, and produced domestically. "We can never count on other countries to sell their mature technologies to us, so we have to rely on our own," said Zhou Jianping, chief designer of China's manned space program. "Since we have never conducted a similar test before and the system is so complicated, we have many unknowns...It is highly risky." So far, however, things have been going pretty smoothly. If future tests continue to go according to plan, China's 100-ton, manned space station will be completed and circling the Earth by 2020 — around the same time the ISS is scheduled to be retired and removed from orbit.